Art frenzy takes over Havana as biennial kicks off - SABC News - Breaking news, special reports, world, business, sport coverage of all South African current events. Africa's news leader. 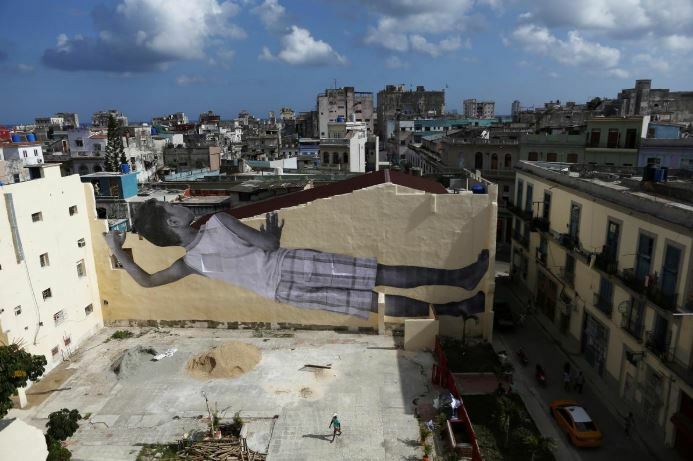 A giant photograph of a boy by French photographer and artist JR is seen on a wall, during the 13th Havana Biennial, in Havana, Cuba. Still, it also includes a large contingent of European and US artists including Cuban-Americans like Enrique Martínez Celaya and Emilio Perez. This entry was posted on 15 Apr 2019,06:41AM at 6:41 AM and is filed under Lifestyle. You can follow any responses to this entry through the RSS 2.0 feed. Both comments and pings are currently closed.